Many teachers and textbook companies make use of a poem of the week for building fluency, but there is much more that can be done if the right poem is selected. 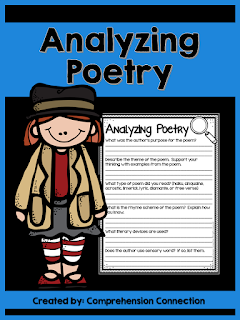 Students' comprehension of a poem's meaning or message, the impact of figurative language, and analysis of how a poet uses word choice to provide imagery and tone are just a few. 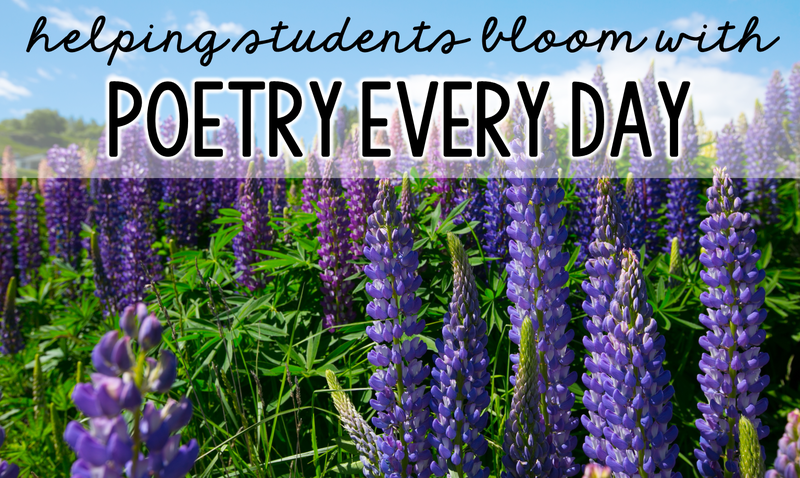 In this post, we'll explore ways to make the most of each poem we choose. For starters, we can find all sorts of activities and ideas on Pinterest, and I've pulled together and continue to pin great things I find. If you are a poetry loving teacher, this is a great board to follow. Several years ago, I was lucky to hear poet, Brod Baggert speak to our student body, and I have treasured his book, Giant Children, ever since. He did a fantastic job knowing his audience with that book, and I still recall the full belly laughs of the children as he shared, "Booger Love". I can't say that I was laughing *that* much, but I did have a chuckle even though the imagery left me feeling a bit ill. His book, Rainbows, Head Lice, and Pea Green Tile, was written for teachers, and there are a few poems in it that truly touched me too. Another favorite poet of my has to be Jack Prelutsky. He has several wonderful anthologies published, and I have them included in my carousel widget above. I have used a few of the poems from A Pizza the Size of the Sun this week with my students as we discussed sensory words, imagery, author's purpose, context clues, and main idea. Today, I used a scavenger hunt freebie from my bloggy buddy, Andrea Crawford, and the kids had a great time. You can access her freebie [here] or through the image to the left. 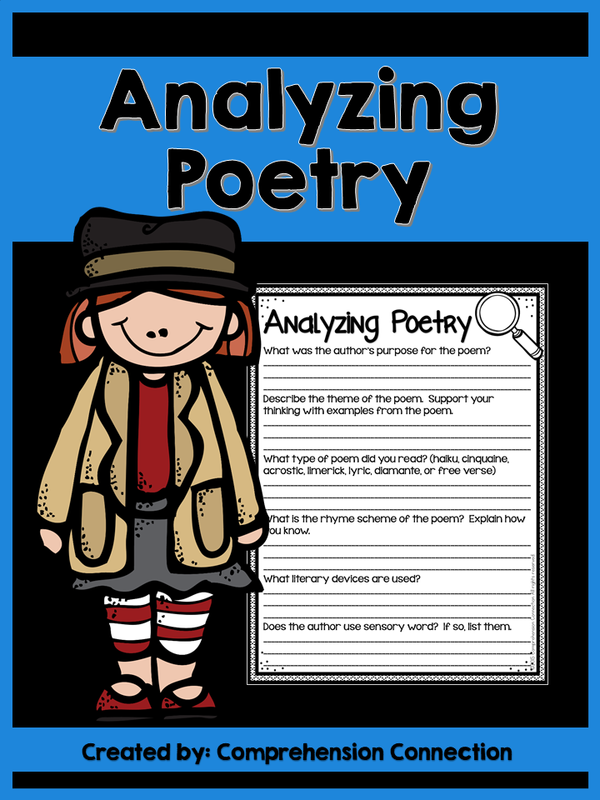 You might also use the free resource below from my store with any poem for group discussion. Finally, I must highlight the books by Shel Silverstein. They are classics in the poetry world, and I've had them in my children's library their whole life. Next week, we'll be working on visualizing, so we'll continue with talks about sensory words and how we imagine scenes. 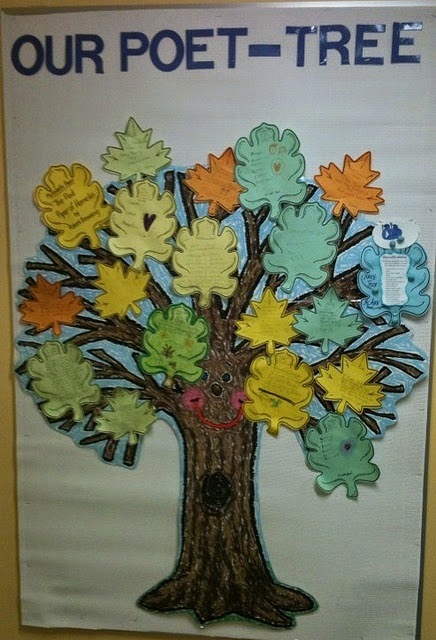 One of the best ways to build excitement about poetry is through the use of a Poet Tree. 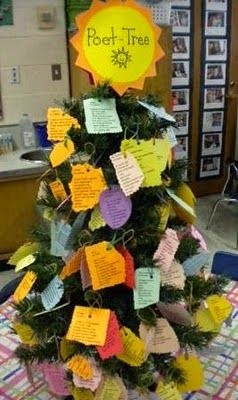 As students find poems they enjoy or you as a class share poems, you add them like an ornament to the tree for others to see, read, and enjoy. I love the idea of repurposing the Christmas tree for this project, and honestly, it isn't really a seasonal project either. You might do it all year long. Last year, I decided to try my hand at writing poetry, and I developed two product lines. The first set is intended for our youngest readers. It is a set that helps students develop a concept of word or COW. This means that the student accurately tracks print and matches spoken words to the corresponding words. A concept of word develops gradually as emergent readers gain alphabet knowledge. Each COW poem is four lines in length which helps in teaching and memorization. Once students have the poem memorized, they practice "reading" with pointers to work on matching spoken word to print and on the return sweep. With each poetry set, there are teaching posters for whole group instruction and touchpoint grids that students can use to track as the teacher reads the poem, the poem on sentence strips with and without touchpoints, the poem in book form, and the poem as a poster that can be added each week for each student to have his/her own poetry anthology for repeated reading all year long. I have a few poetry samples you can try out. 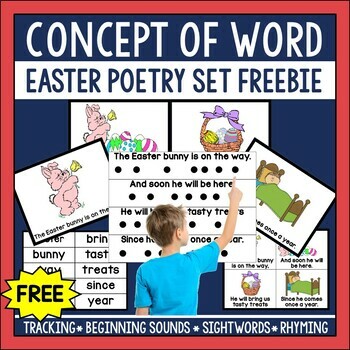 (One for the beginning of the year and one for Easter) You can learn more about teaching concept of word [HERE] or simply search my blog for concept of word with the search bar in the top right corner. 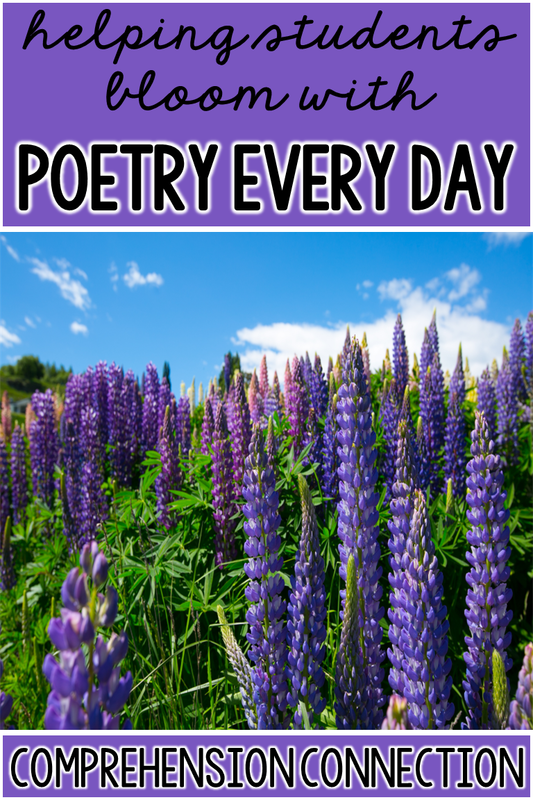 Another poetry resource I have developed for Poem of the Week are the seasonal sets, the sports poems, and the food lovers set which are more complex with multiple stanzas. Most are rhyming poems and on themes children enjoy. They are all original poems written by me that can be used for fluency building, rhyme scheme, sightword work, and comprehension work. Rather than insert the set for each season, I'm linking up just the bundle. 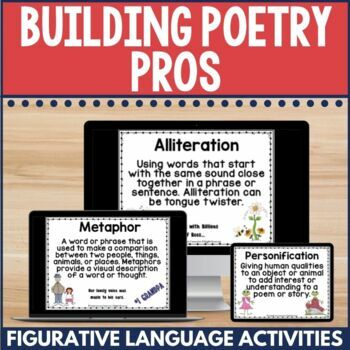 It includes about 40 poems in black/white and color as well as the Building Poetry Pros set I created for teaching poetric devices and figurative language. 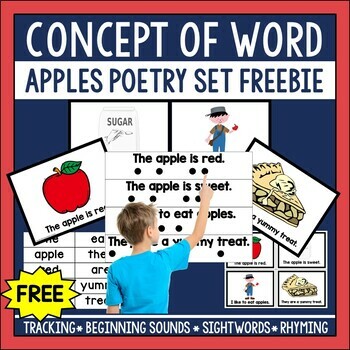 Finally, the set to the left includes anchor charts and organizers to use with any poem the teacher chooses. 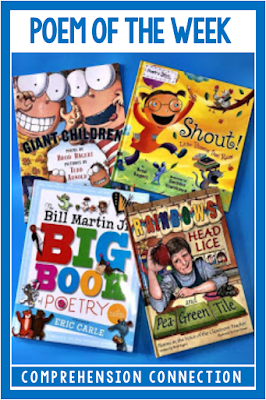 It is best for grades 4-6, and the recommended poets were listed previously including Jack Prelutsky, Brod Baggert, Ken Nesbitt, and Shel Silverstein. You can get it with the yearly bundle or separately with the link to the left. This fantastic website is Giggle Poetry. It is just plain fun! Your students will beg to read more. The next site has much more than poetry resources. For any reading teacher, this site should be on the go-to list. It includes interactive writing apps, comprehension materials and online lessons, organizers, and these wonderful interactive tools. Use with your whole class on the smartboard or in a lab setting. The last site is the sister site to Giggle Poetry, and it's aimed at struggling kids to try to hook them in. Bruce Lansky and Kathleen Norris share tips on hooking kids and helping them write. It's lots of fun. Finally, be sure to download the free resource to the left. I talked about it above. 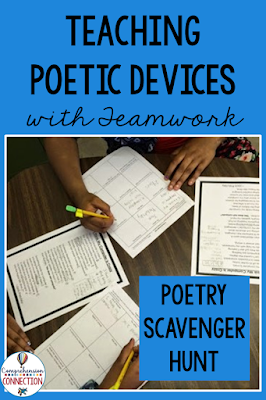 It fits my fifth grade standards, and we used it to discuss a variety of poems along with my Building Poetry Pros bundle above which I used for instruction. 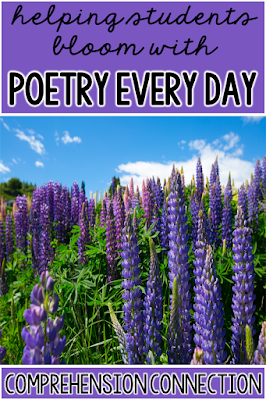 Check out the poetry resources below.